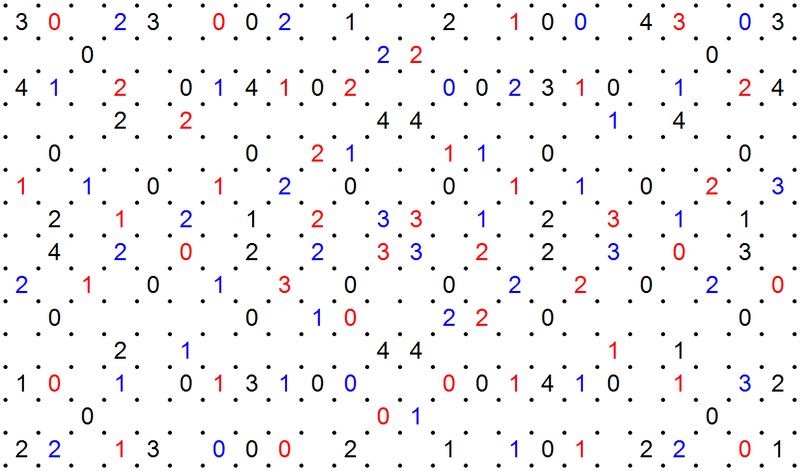 This is a Colorlink puzzle. Newest factoid deduced from WordPress statistics page: if you search for “puzzle N” on google where N is a sufficiently high number, there’s a good chance the appropriate puzzle on my blog will be among the top results. Weird. 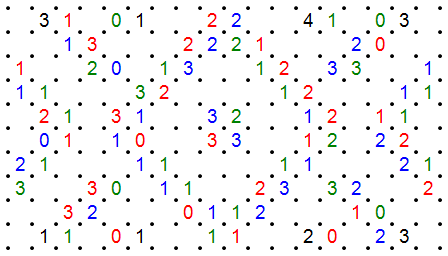 This is a Friday Colorlink puzzle. 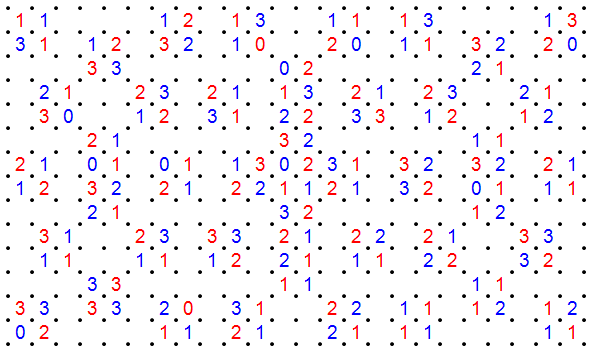 This is a Thursday Colorlink puzzle. Looks like Slitherlink, is actually Colorlink, and solving ought to remind you of Crosslink (unless you make some intuitive guesses). 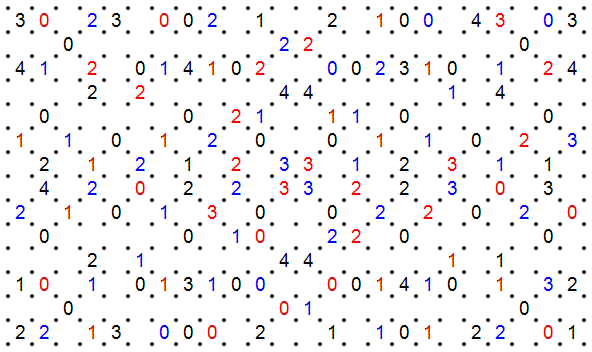 Incidentally, I think this is the first Colorlink puzzle where each of the colored cells and black cells don’t have their own rotational symmtery. Seriously, how long could that blue loop possibly be? 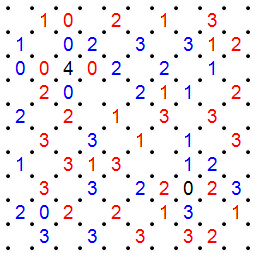 This is a Friday In-Out Colorlink puzzle, a synthesis of In-Out Slitherlink and Colorlink. 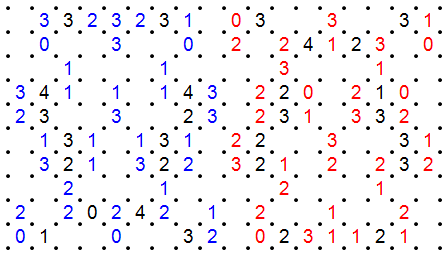 Each clue is always correctly colored, and the number tells the truth if it is inside that color’s loop. If it is outside the loop of the corresponding color, it is inverted as it would be in In-Out Slitherlink. There are no black numbers. Happy new year with another holiday puzzle from hell. It turns out the rule changes in each of these variations can work together to create some nice logic. Keep that in mind if you get stuck. 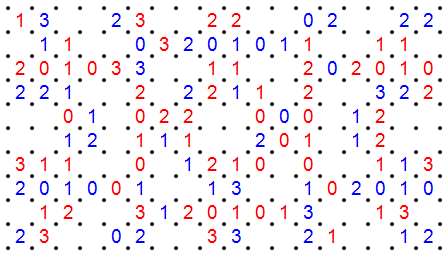 This is a Tuesday Colorlink puzzle. I challenged myself to create an easy Colorlink puzzle without blatantly separating the colors (as some I have made did). 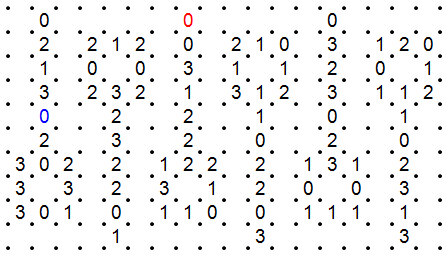 It was actually pretty tough to do; this is an inherently difficult type to solve, it seems. Anyways, if you aren’t familiar with some of the Colorlink nuances, there’s still a couple of places you might get tripped up on, but it remains a puzzle I’d call easy. More like two small puzzles plus two even smaller puzzles, all in one package. 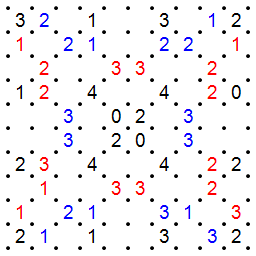 Back when I posted the first Colorlink puzzle, I wondered about how crowded Colorlink would be with more than two colors. Now you can find the answer for yourself. Introducing black numbers, which are explained on the description page. Not difficult. I really like how this puzzle turned out. Very difficult. You’ll need a mix of techniques both from standard Slitherlink and those introduced by Colorlink. I assure you logic alone can solve this, with virtually no thinking ahead required, but you may have to stare at it for some time. 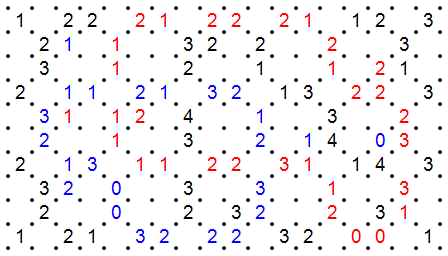 IMPORTANT NOTE: Very few, if any, new puzzles will be published on this blog. 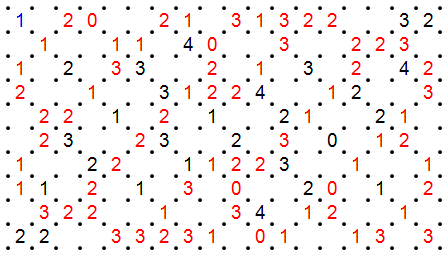 Please see Grandmaster Puzzles for any future work of mine. This blog is being left up mostly as an archive. All puzzles copyright Palmer Mebane 2009-2013. You may redistribute these puzzles as long as credit for their construction is provided to me. You may freely use any of the puzzle types on this blog as long as you do not pass them off as your own and, if they are types I created, that I am credited for designing the rules.